Ready to upgrade your living room to with a higher level TV? 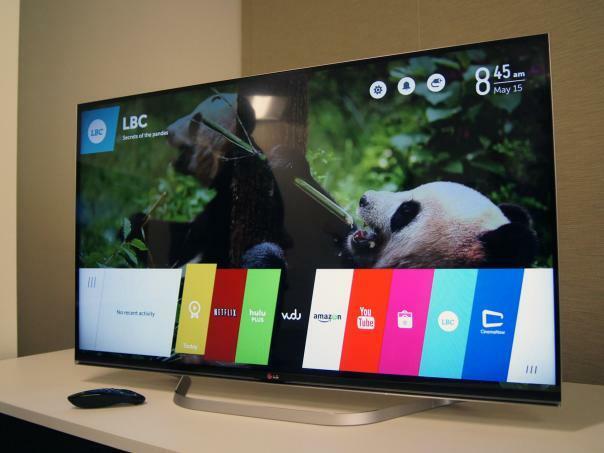 LG 65UF9500 and Samsung UN65JS8500 are both sublime 65-inch Smart TVs you can get with less than US$ 5000. All people have been familiar with their brands for decades, and as the market is evolving towards integrated hardware, LG and Samsung try to fill the gap in the mid-high market with these products. Which one is better? See also : Samsung UN65JS8500 Vs UN65JU7100. To answer that question, we need to compare them to each other. First, we will check their platforms. Samsung has been using Tizen OS for their Smart TVs since they got involved with the development of the operating system few years ago. Meanwhile, LG 65UF9500 is standing on the new WebOS 2.0. Although those platforms are able to deliver beautiful and intuitive user interface, Tizen OS supports more apps than WebOS, so Samsung UN65JS8500 will give more practical and versatile usage. Second, we want to know the quality of each output. They both delivers extreme color details, but Samsung UN65JS8500 implemented the Peak Illuminator Pro to extend their performance on various black levels. However, LG 65UF9500 has more power in producing audio output. Coming with 4.2 Ch 60 W speaker system, the sound of LG 65UF9500 is simply thundering. By the way, Samsung UN65JS8500 supports Active 3D while LG 65UF9500 supports Passive 3D. Basically, these products have their own advantages and disadvantages. Samsung UN65JS8500 has more edges on platform practicality and visual quality, while LG 65UF9500 is stronger in terms of sound output. Initially, LG 65UF9500 was more expensive, but at the moment of this writing, they both are already in similar price range. If you prefer the practicality aspect then choose Samsung UN65JS8500, but if you prefer to watch movies with glaring sound, then choose LG 65UF9500.